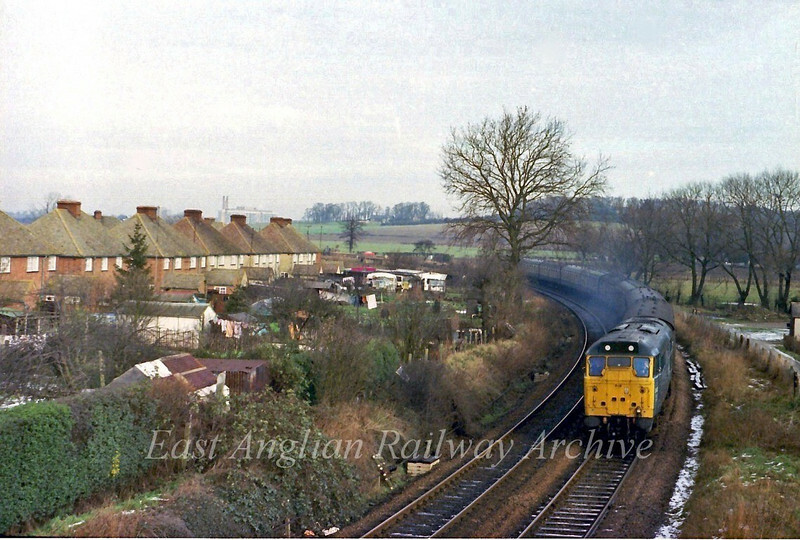 31407 accelerates away from Shepreth Branch Junction at Great Shelford with the 1130 Cambridge to Kings Cross on 21st January 1978. Two weeks later, through hauled services to Kings Cross ceased. The chimneys of Addenbrookes Hospital can be seen on the skyline.